Okay, we all know how much I love shoes. Well maybe you don’t, but now you do! It can be the making or breaking of a great outfit. These are the new additions to my collection. I am especially excited about the two heels on the bottom. I have been looking FOREVER for a nice rounded pointed toe, suede heel. These are it. They are from charlotte russe and I am loving them. 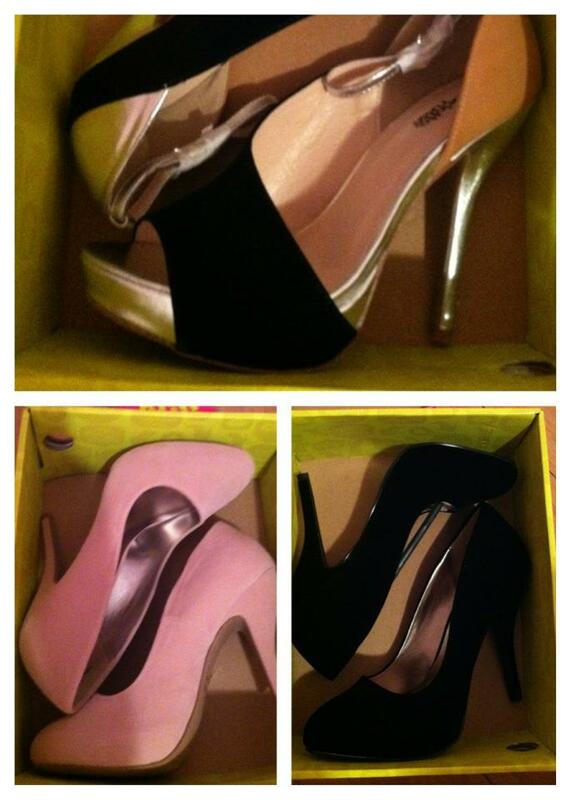 They are high enough to be worn on an everyday occasion but not an outrageous high like my other 6 inch heels. The best part is one was $30 and the other was only $12 because of a great sale. The heels on top were just fab ones that I had to have.